Keep your garden maintained through the seasons with our range of easy to use Lithium Ion Garden Tools. Lithium Ion 36V Cordless Garden Tools has revolutionised the way we use power tools. 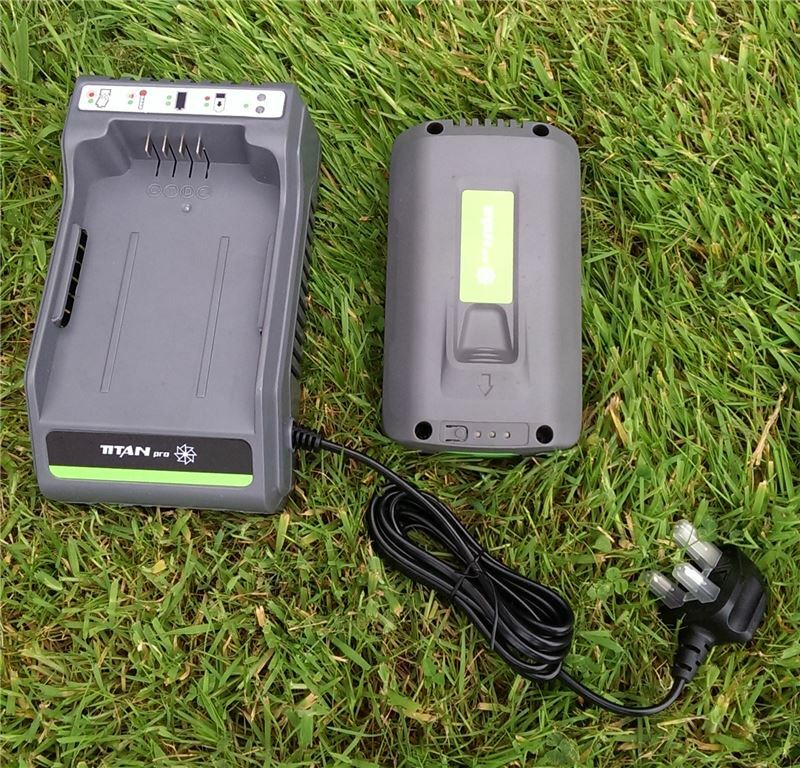 Extremely lightweight and no power leads, your garden will be looking immaculate in no time. Battery Powered Garden Tools provide freedom and flexibility in the garden and are ideal for those who may have limited mobility, or even the professional gardener who is looking for ease of use. 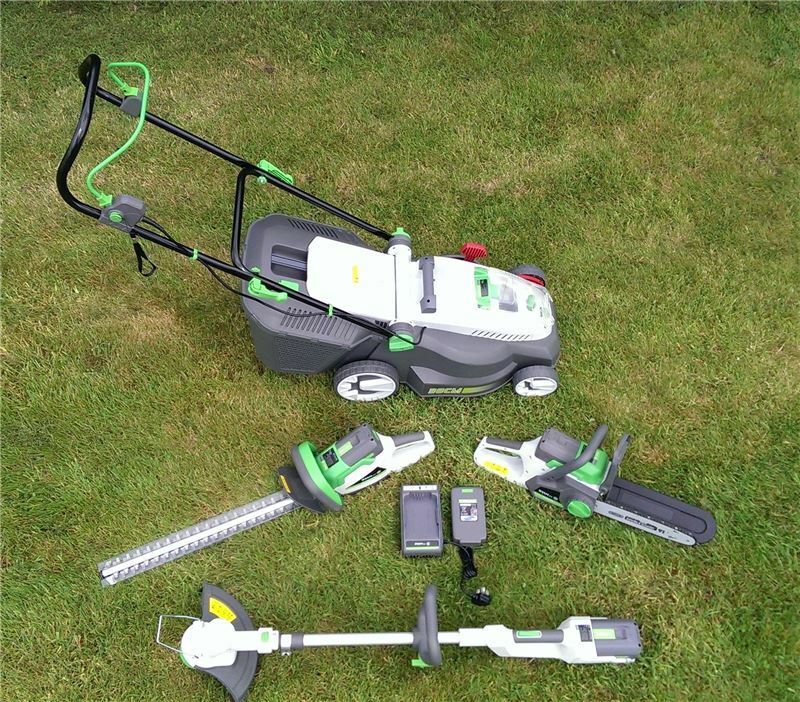 So whether you are looking to buy a cordless Lawnmower, Hedge Trimmer, Grass Trimmer or Chainsaw, we can make your garden feel part of your home with our fantastic Titan Pro range. The 36V Lithium Ion Battery Powered Hedge Trimmer from Titan Pro makes trimming your hedges easier and safer than ever before. The Lightweight Hedge Trimmer has a laser cutting blade and all around handles, which makes cutting your hedges a breeze! The all new Lithium Ion range for Titan Pro. 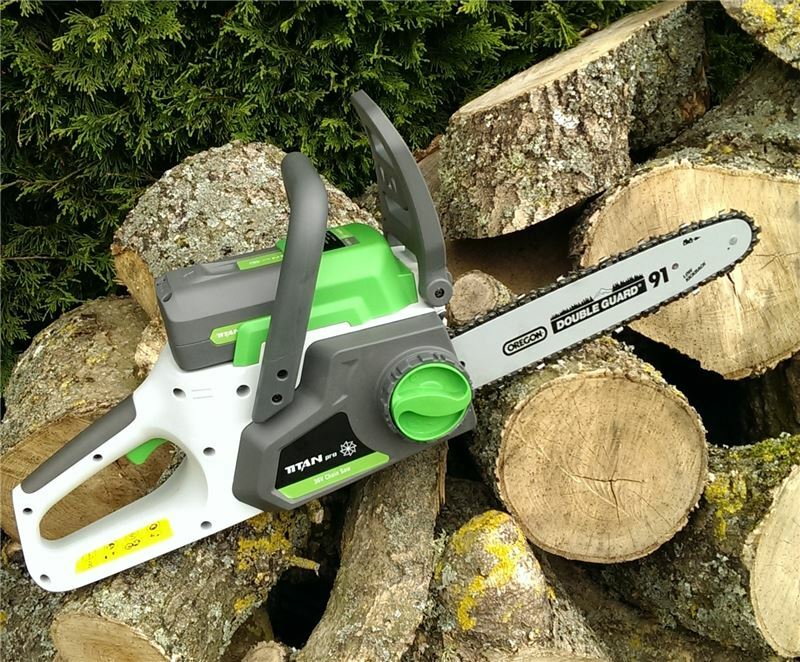 The Titan Lightweight Lithium Ion Battery Chainsaw has a manageable 30cm bar, 36V and features a chain speed of 8m/s and a fast charge time. If you are looking for freedom without a power lead have a closer look at the Titan Pro Cordless Saw. ONE BATTERY SERVES THE COMPLETE RANGE! Titan Pro Lithium Ion Cordless Grass Trimmer with a powerful 36v motor. Featuring a telescopic shaft and automatic line feed, it is easier than ever before to trim your grass. 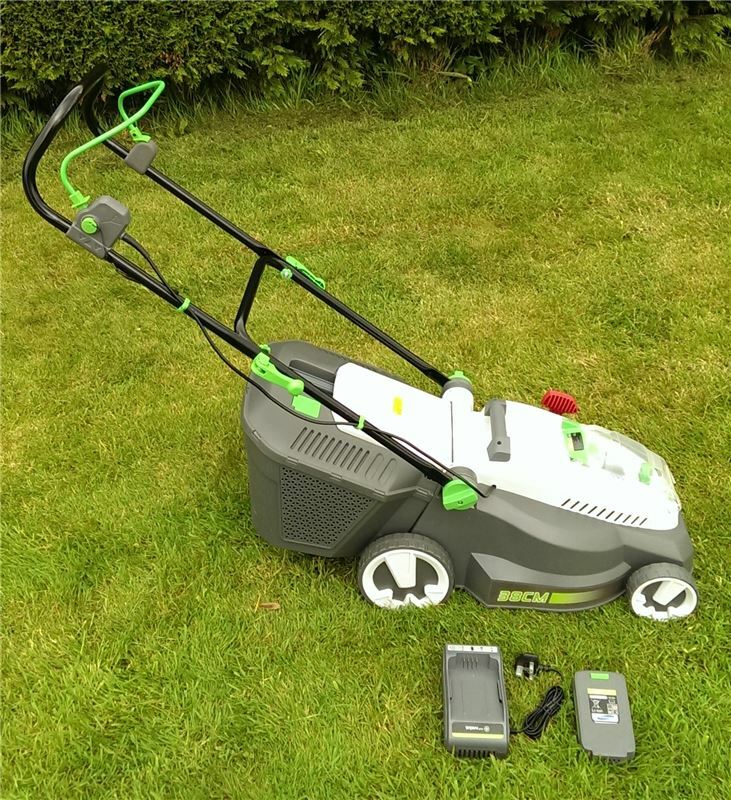 The Battery Grass Trimmer has a cutting width of 30cm and can run up to 50 mins between charges. The all new Lithium Ion range for Titan Pro. The Titan Lightweight Lithium Ion Battery Chainsaw/Mower/Hedge Cutter/Strimmer. A full set of our new range including two battery packs and a charger. Lithium Lawn Mower 36 volt from Titan Pro will cut your grass in no time. 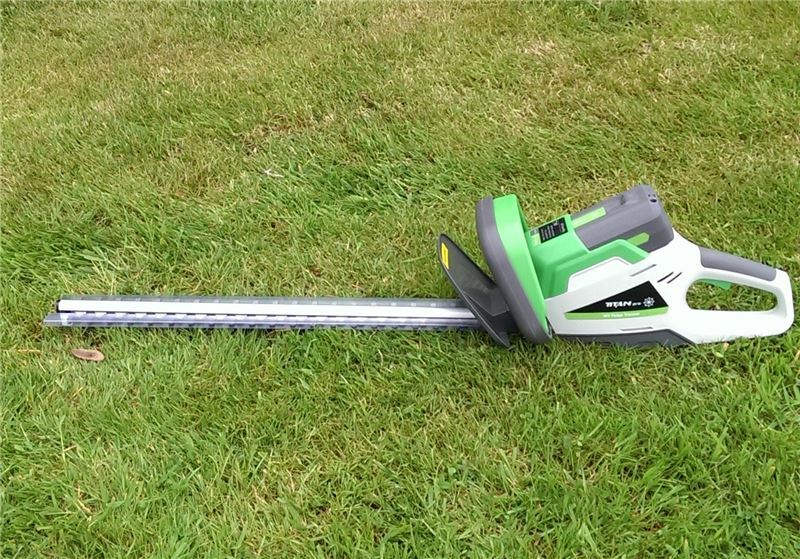 With its 38cm cutting width and its 35 litre grass collection box, you will be done in no time. Forget the power leads dragging around the garden these new generation Battery Lawn Mowers have to be seen to be believed. 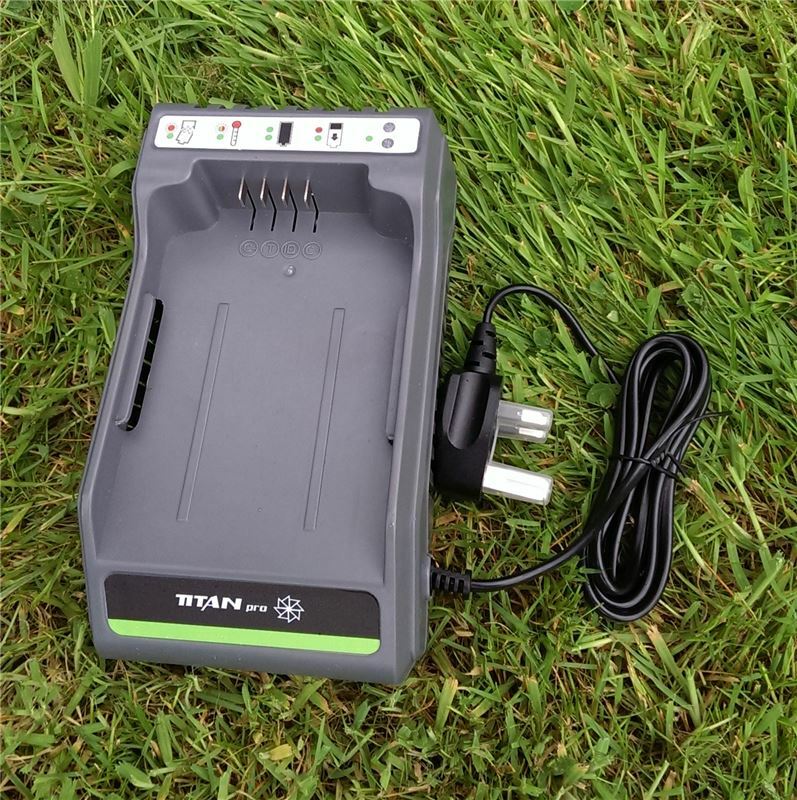 The Lithium Ion Battery Charger Combo including 2.6Ah battery for all of your Titan Pro gardening tools. 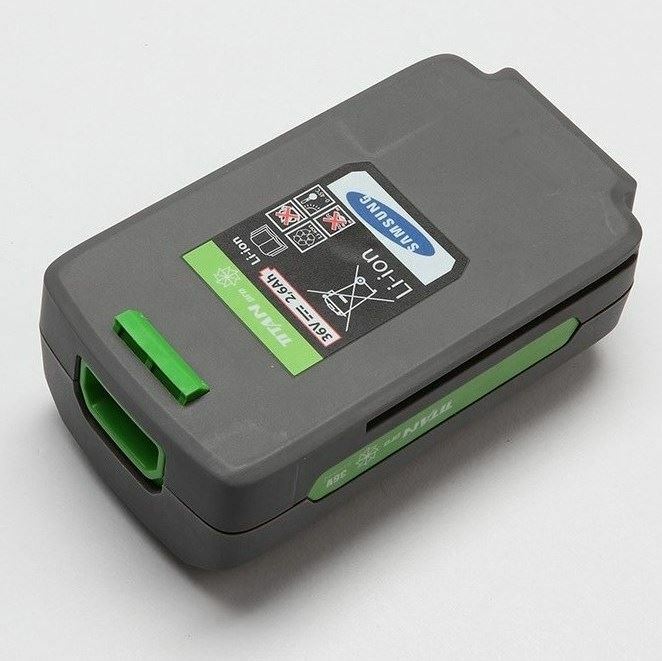 The Lithium Ion Charger is for the Lithium Ion Battery, which is rechargeable. The new Lithium Ion Battery 36V interchanges with the complete Titan Pro Range of Lithium Ion Garden Machinery. This includes the Li Ion Lawnmower, Hedge Strimmer, Grass Trimmer and the Chainsaw.